Sell My Polar V800 | How Much is My Polar V800 Worth? Select the information above in order to receive an accurate quote for the Polar V800 you want to sell. Click sell item if you agree with the price that is displayed. GreenBuyback purchases cell phones, tablets, and laptops at the highest prices in the industry! GreenBuyback pays cash for your old cell phones, tablets, and laptops. When you sell your cell phone, tablet, or laptop to GreenBuyback you will never have to pay shipping. GreenBuyback is dedicated to maximizing the cash back to our customers. Sell your Polar V800 for cash today! 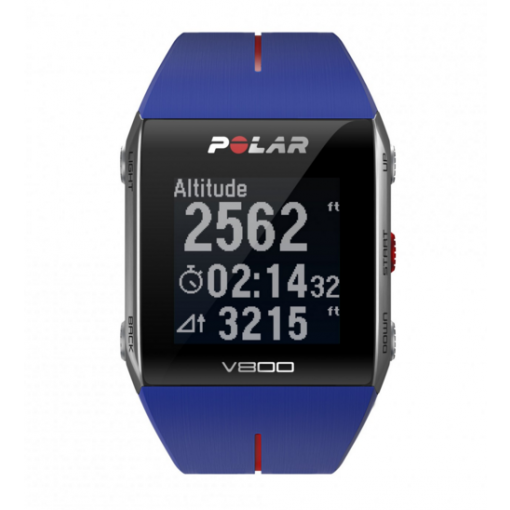 The Polar V800 is Polar’s flagship multisport watch. This sleek and stylish watch does more than just tell you the time. The watch face is touch sensitive and has a high resolution display with a soft blue LCD light and the sturdy band protects against breaking. It easily tracks activity, sleep, heart rate and steps. The battery life can track an entire day’s triathlon or a month’s worth of step tracking. Selling a Polar V800 is so easy with GreenBuyback; send your Polar V800 to GreenBuyback with free shipping and you’ll get cash sent to you fast! Another major selling point of the Polar V800 is the relative ease of use -- anyone can use the watch without a degree in computer science. For competitive swimmers, the Polar is waterproof so you can monitor your lap time directly from your wrist. GreenBuyback will buy your Polar V800 in any condition, even broken! Simply head to GreenBuyback to get a quote, send your Polar V800 in, and get cash quick!